Fedora 25 is the second release of the year 2016 of the developers’ favourite operating system. 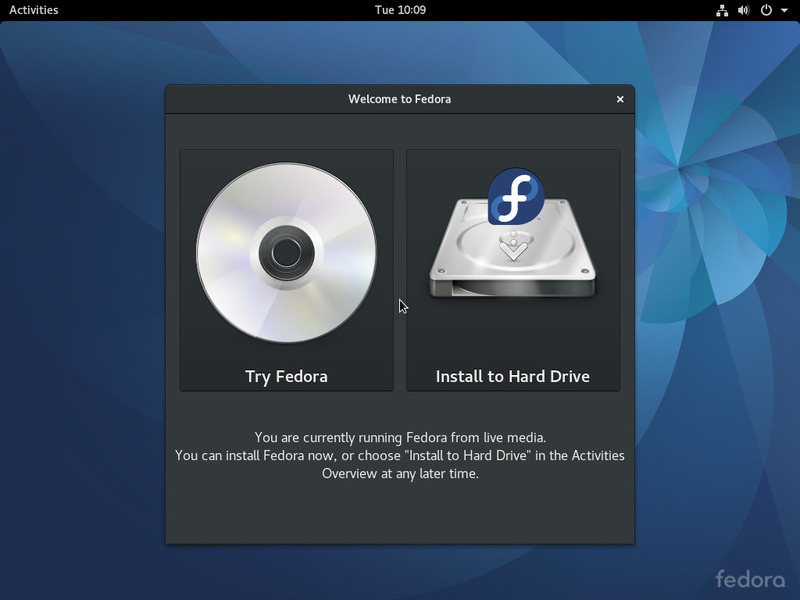 Packing cutting-edge features and pushing forward the whole Linux ecosystem here comes Fedora 25 and how to install it! In Fedora 25 during the whole installation process (step 3 to 8) there will be a “Help!” button in the top-right corner. If you ever need some help. 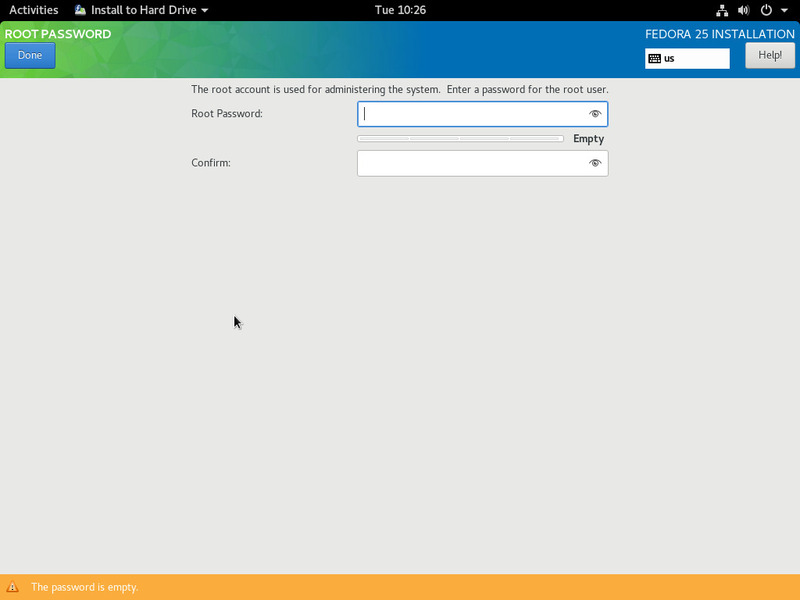 The first thing you have to do to proceed with the installation of Fedora 25 is boot it from a support (CD/DVD and USB Pendrives are today the best options), if you don’t know how to burn the image onto the support find a tutorial on the Internet or use this tutorial. Once you have your support, reboot your machine, select an option like “boot options” or “boot priority list” and select your support, in this way you should see this screen. 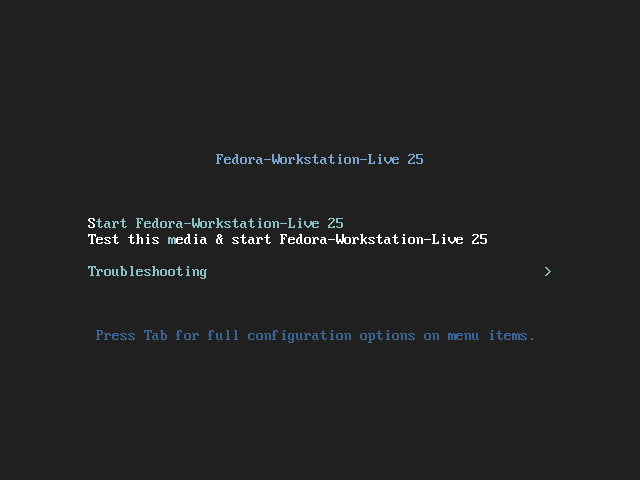 Select “Start Fedora-Workstation-Live 25” to start the installation. Once done, you will be facing the login screen, click on "Live System User" to get to the next step. Now you’re in the live media, your computer is still untouched. From here you can choose to try Fedora 25 (try it a bit to see if everything works fine; usually audio, video, peripherals and network are the things to look at) or to install it right away. When you’re ready to install move on to the next step. If you decided to install Fedora 25 alongside another Operating System just click on Click here to create them automatically. This release is full of features, and has quite some differences under the hood. The installation process is almost the same, with the exception you have to log in the live system. Starting with this version you can also use the new image-writer (Windows, MacOS, Linux) to create the media boot.